Through analysis of legislative and judicial actions in a selection of Muslim and non-Muslim States in relation to the rights of the child in criminal matters, this study aims to identify possible harmonization between the obligations of the international human rights law (e.g. the UN Convention on the Rights of the Child) and the criminal justice systems within each State, particularly Islamic law (Sharia). •The role of the judiciary in criminal cases within Muslim jurisdictions. Theoretical and comparative research methods highlight that the position of Islamic law on the age of criminal liability and the legal rights of child offenders is nuanced, both through the various ways Islamic criminal law is implemented, and the role of the judiciary in expanding the protection of juvenile offenders. 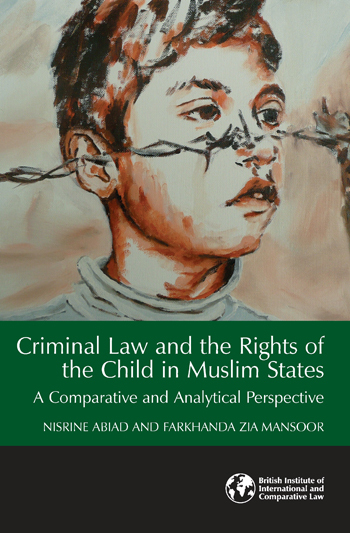 "Criminal Law & the Rights of the Child in Muslim States"